Kevin McEnnis, Owner & CFO (Chief Farming Officer), Quetzal Farm, Santa Rosa, CA. Kevin is the founder of Quetzal Farm, an organic vegetable farm on the Santa Rosa Plain that produces the best tasting varieties of sweet peppers, chiles, tomatoes, and cucumbers for bay area cooks and has a dedicated following of customers including iconic restaurants such as Chez Panisse. During the fall season he produces salsas and dried chiles believing in the importance of preserving the quality of local flavors for year-round enjoyment. Initially committed to preserving local agriculture for food production in Sonoma County, Kevin worked with the Community Alliance of Family Farmers, the Slow Food Movement (attending the first Terra Madre as a North American Delegate), and teaching Sustainable Farming for the New College and Santa Rosa Junior College. Over the past several years, Kevin has turned his eye (and palate) towards the production of wine grapes and making of high-quality wines. While taking a course in viticulture at Santa Rosa Junior College, the wine bug bit him hard. He realized that his careful farming methods to get the best flavors and love of food processing and science all came together in grape growing and wine making. 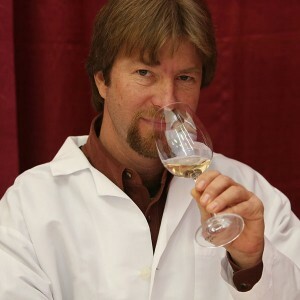 While unable to escape the vegetable farm, Kevin has devoted much of this time the last years to learning about all things grape: studying viticulture and enology, making his own wine in his barn-based home winery, and working part time jobs in the vineyards and cellars of Sonoma County.